Venice, Italy is one of the most popular tourist destinations in the world - yet it can also be one of the most expensive! Between the high cost of hotel rooms to transportation and attractions, your wallet can get thin and the credit card charges soar sky high in Venice if you want to do the "City of Water" in style. But there are ways one can save money in Venice without sacrificing the experience. Many of these money-saving tips and tricks just require a little advance planning and flexibility. 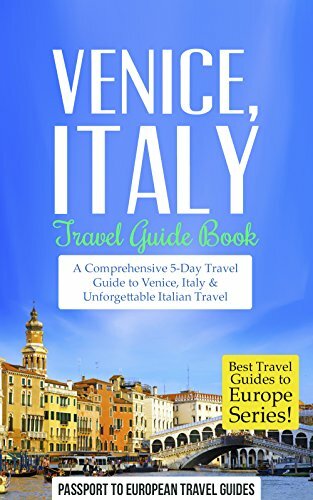 Having visited Venice twice in the past five years, each time staying for a week to two weeks, I've got some good tips to share on how you can make Venice more affordable and still enjoy the best this unique city has to offer. Rent an apartment in Venice - or stay in a monastery! The view from the balcony of a Venice rental apartment. It can be cheaper than a hotel room - and a nice escape from the tourist crowds. * Amenities you won't find in small hotel rooms such as a full kitchen (save money cooking your own food), washer/dryer for your clothes, free internet, satellite tv, sometimes even computer terminals and stereo systems which you are welcome to use! 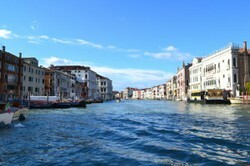 These apartment rentals can be perfect for independent travelers who like to immerse themselves in true Venetian life. Of course, one downside is often that full payment for the apartment is typically due upfront and in advance - so if your travel plans change or have to cancel your trip at the last minute, you will likely lose most if not all of your rental payment. Some vacation apartment rental sites you might want to visit for more information include Views on Venice, Sleep in Italy, Venice Vacation Rentals by Owner, and The Key to Italy. Another option available in Venice and elsewhere in Italy is to stay in a monastery or convent! Monastery Stays is a website where you can search for such accommodation easily based on your travel dates, number of travelers, and desired amenities. These guest houses and rooms offer basic but clean and comfortable rooms for travelers no matter your religious faith or affiliation. Unlike many rental apartments, shorter-term (2 nights+) are often available and the rates may be even cheaper. Some even offer included or optional meal service. St. Mark's Basilica in Venice is one of the city's major attractions. Visiting the various museums, historic churches and destinations in Venice can be pricey - especially if you are staying for a week or more. 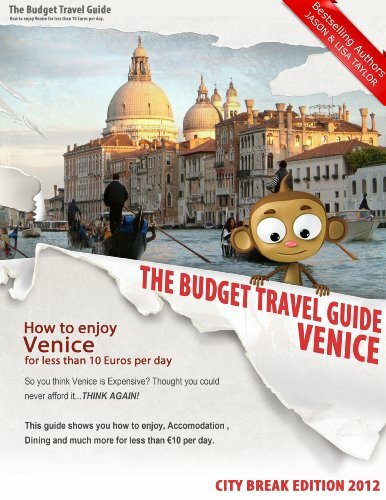 There are, however, numerous Venice passes and cards which you can purchase in advance or at locations in the city which can save you a lot of money. The important thing is to think and plan ahead: what sites in Venice to you definitely want to see? Which other lagoon islands do you plan to visit? 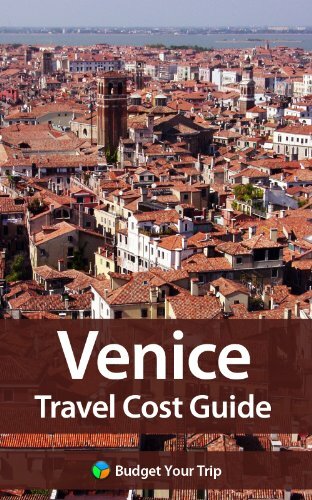 Look up the individual costs for each of these - including any vaporetto transportation if need be - and decide which (if any) of these discount passes will pay off for you. The Chorus Card grants you admission to 16 of Venice's most incredible churches featuring amazing art and architecture. These churches normally cost 3 Euros each (as of November 2012) to visit, whereas a Chorus card is 10 Euros for an individual, 7 Euros for a student and 20 for a family (2 adults plus children under 18). So if you visit 4 or more of the churches on your visit, you will save money. You can book a card on-line but it is easy to just purchase a pass at the first Chorus-member church you visit while in Venice. These cards are good for one year as well. Visit churches without the fee - if you attend Mass! Want to visit a church that charges for admission without paying the fee? Then attend during mass services when there is no charge. However, please keep in mind that in doing so you MUST sit and attend to the services - you will not be allowed to wander and sight-see until after the service is over. The 20 Euro Museum Pass covers 11 separate museums throughout Venice, Murano and Burano, the most notable of which include the Doge's Palace (16 Euros admittance alone, but includes Museo Correr, Museo Archeologico Nazionale and Monumental Rooms of the Biblioteca Nazionale Marciana), Ca Rezzonico (8 Euros) and Ca Pasaro (8 Euros). If you plan on visiting more than the Doge's Palace and it's connected museums, then it's definitely worth getting the Museum Pass to save money. Want to combine the benefits of the Chorus Pass and the Museum Pass? Then there is the 7-Day Venice Card: 39.90 Euros for those over 30, 29.90 Euros for the "Junior" version. It includes admission to all of the churches on the Chorus system, the museums on the Museum Pass, plus extra perks like free entrance to Querini Stampalia Foundation and Jewish Museum, reduced admissions to certain temporary exhibitions and other collections, plus some shopping discounts. However, remember it's only good for 7 days - so if you're staying longer and/or want to plan your museum visits over more time, it might not be the best deal for you. If you are a fan of "tapas" and the "small plates" trend which has become a sensation in the States in the past few years, then you can enjoy a similar experience in Venice at a very reasonable price. "Cicchetti" is the name for traditional small bites, snacks and plates served in "bcari" or osterias in Venice, and they seem to be on a comeback! Cicchetti can consist of lots of different items: small sandwiches, fried seafood and vegetables, housemade salami and sausage, local cheeses, toast topped with creamed cod, marinated salads and so much more. An establishment serving cicchetti typically has a glass case or counter where you just walk up, point at the items you'd like to try, and they are assembled on a plate for you. Each item may only cost 1-2 Euros, so it is easy to put together a filling meal at a very reasonable price. Image: A mixed plate of fried cicchetti from an osteria in Venice: fried crab legs, meatball, ham and cheese sandwich, fried vegetables, potato wedges and fried cheese balls. This entire plate could easily feed 2 a light meal, for all of about 15 Euros. Such bacari typically also serve excellent local wines available by the "Ombre" (small glass) for a similar reasonable price. You can spend an hour or two lingering at one cicchetti bar, or make a night of skipping about from one place to the next. It is a satisfying and much less expensive way to enjoy traditional Venetian cuisine than spending 100 Euros+ for dinner for two at a fancy Venetian restaurant. Everyday Venetians use the inexpensive traghetto system regularly to get around Venice. There's no two ways about it: the gondola is one of the quintessential symbols of Venice, but taking a gondola ride today is expensive! The base fare during daytime hours is 80 Euros for 40 minutes (up to 5 people in a boat) and 100-150 Euros after dusk. While I would argue it is a wonderful and not-to-be-missed experience if you can afford it, you can get a taste of riding a gondola in Venice by taking the much cheaper traghetto services across the Grand Canal. It's standing room only for the men! Wallet temptations are everywhere. Shop wisely. Limoncello and grappa bottles in a Venetian storefront window. Temptations are all around you in the many shops and galleries in Venice. From beautiful gourmet food products to exquisite art glass, from designer Italian clothing to handmade lace on Burano, it's easy to be tempted to just buy, buy, buy every where you go. But it is important to not impulse buy while in Venice, and spend some time comparison shopping and making sure you're buying authentic, Made-in-Italy products. The irony is there is plenty of so-called "Murano glass" in Venice which is just mass produced in China. Authentic Murano glass should come with a stamp or certificate of authenticity, a signature from the artist, or some form of representation from the furnace from which it was produced. The Consorzio Promovetro Murano helps promote the history and tradition of Murano glass and is a good place to start researching (and shopping) in advance. No matter what you are looking to buy, don't be pressured into purchases you aren't sold on or before visiting other merchants of similar products. And whenever you buy a higher-end product, be sure you have your passport with you at the time and request VAT Refund Paperwork, if applicable. You can get a fair amount of money back on these tax refunds by doing some simple paperwork, and making sure to file it at the airport before you leave Italy. I definitely plan this vacation in the future. My son's girlfriend vacationed there once. She loved it.